Instead, you need to discover the small number of “superfans” who want deeper engagement and then harness their enthusiasm to manage and strengthen other customer relationships on behalf of the brand. That’s the real http://premier-pharmacy.com/product/paxil/ power of community – you tend to the 1% who tend the other 99%. That describes the vExpert in a nutshell – you are the 1%! You could see this through cynical eyes as VMware using the community for their own benefit but like many of my peers I’ve been working in IT for well over a decade and virtualisation is the first time I’ve found a community that really benefits everyone involved. Maybe it’s the advent of social networking, maybe it’s the convergence of the various technologies or maybe it’s the time and effort expended by VMware (and geek herder extraordinaire @jtroyer) but for some reason it works where it never did before. I enjoy being part of the VMware community and I know it adds value for me (and therefore my employer) and many other people. While the 1% add great value on VMware’s behalf they also benefit greatly from the experience themselves. 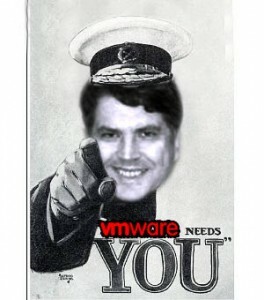 Just bear in mind that much as we’d all like VMware’s recognition, VMware need us too! I’m already vExperienced and I’d love to be a vExpert. Fingers crossed! ps. Apologies to Alex Maier who now runs the vExpert program – I’d already made up my ‘poster’ before I knew! Great article! You really say it the way it is! I hope you’ll be recognized as a vExpert, because in my opinion you’re doing this for the right reason! It’s the passion for the products VMware makes, and to give others a look over your shoulder when you experience things that need to be solved in your daily job. Or things you think are worthy of sharing with your peers. Thanks Arjan. I suspect the challenge for VMware will be the growing number of people who are all contributing great content to the community – either the bar is going to rise or the number of vExpert’s is going to increase (or maybe both). You’ve got lots of great content on your site so fingers crossed for you! See you in Barcelona for VMworld maybe?